This year’s SQL Saturday #222 in Sacramento was a blast. This event was certainly the high point of my summer, and am very thankful to have been selected to speak here. 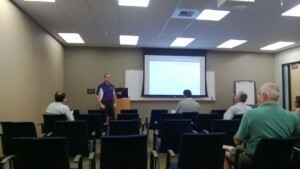 Yesterday I presented two sessions at the SQL Saturday event in Sacramento, CA. First up was the session called “It’s All About the Performance, Right?“. The slides for this presentation are available here. My second session was entitled “Squeezing the Most Performance from your VMware-Based SQL Server“, and the slides for this presentation are available here. This fantastic city opened up and welcomed me, and I am humbled and ecstatic. The attendees were terrific, and very eager to ask questions and interact in the presentations. I can’t wait to get back to Sacramento for next year’s event! Next up, SQL Saturday St. Louis next weekend, and then SQL Saturdays in New York City, Denver, and Kansas City! This is an absolutely amazing summer and fall. I’ll see you all at these events, or if not these, then definitely at the SQL PASS Summit!